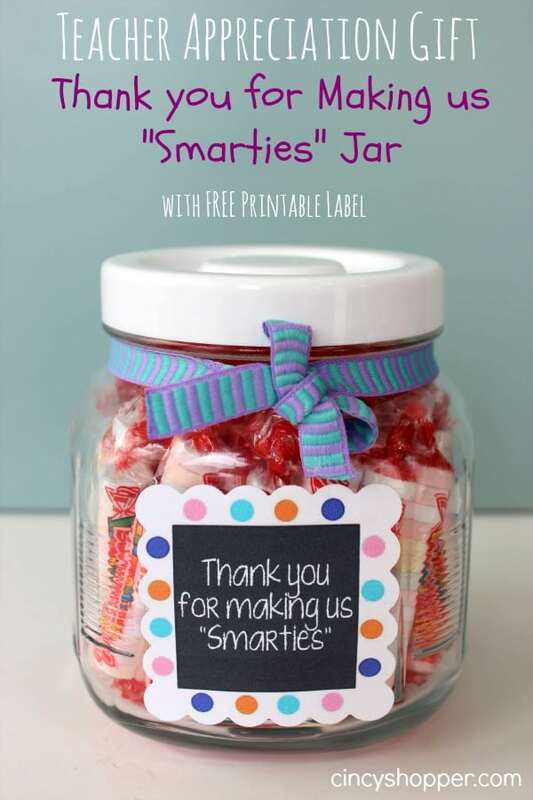 It’s Teacher Appreciation week (May 5th- May 9th) so this Quick & Easy Teacher Appreciation Gift: Thank You for Making us “Smarties” Jar with a FREE Printable Label will be so simple and quick for you to put together for those wonderful teachers. Each year I struggle for gift ideas for my kiddos teachers and bus drivers. We will be handing out a few different DIY items this year so I can stay on budget. I dropped in the Dollar Store this past weekend and picked up some of these simple glass jars with lids. I knew immediately that they would be great for a candy gift idea. They turned out to be perfect. 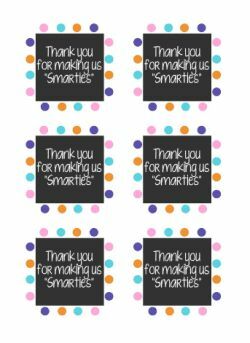 I added in some Smarties candy (on sale 3/$2 at Walgreens this week) and a “Thanks for Making us Smarties” tag that I had the hubby make. I also tied on a simple ribbon. 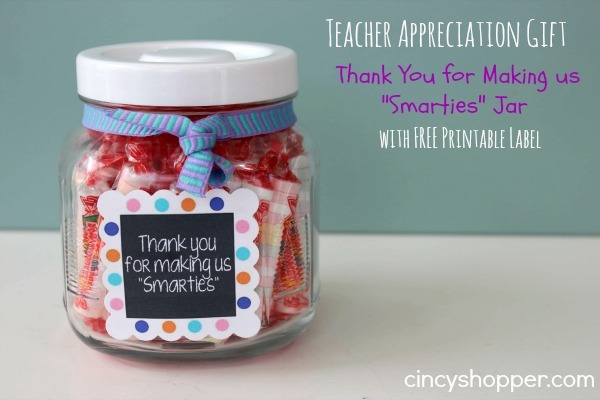 You can print a copy here if you should decide to make this quick and easy Teacher Appreciation Gift. Print “Thank You for Making us Smarties” label here. All in all I think this is a simple and inexpensive way for our kiddos to say Thanks to their teachers. 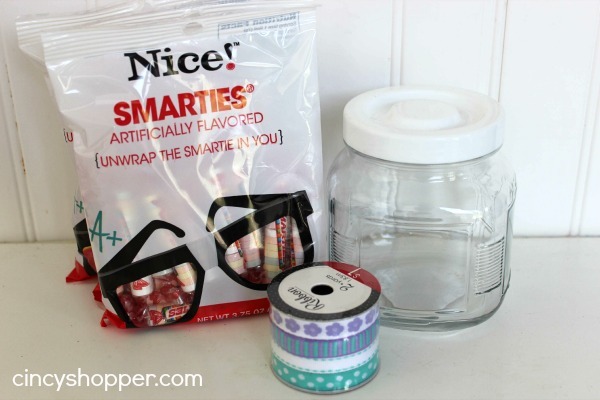 Stay tuned for more DIY Teacher Appreciation Gifts throughout the next few weeks. I always give teacher gifts at the end of the school year. If you are like me, you have a couple of weeks left to get creative. Also, last school year I shared a post with 25 Teacher Appreciation Gifts, be sure to see that post here.